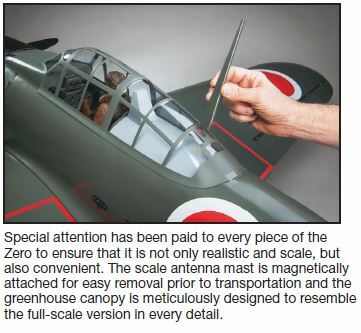 At its introduction in 1940, the Zero was the most devastatingly effective aircraft in production. Its long range and incredible performance made it virtually untouchable. 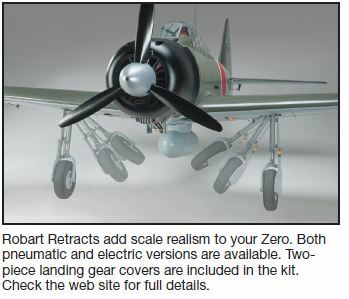 With speed and maneuverability unmatched by anything in the sky, the Zero utterly dominated its enemies early in WWII. 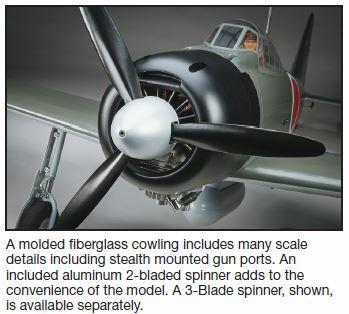 This Top Flite model is a tribute to these legendary aircraft. It’s designed to be scale in appearance and performance. 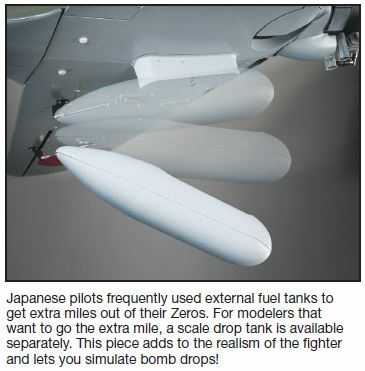 It maintains ease of flight and good maneuverability on the ground with a thick airfoil, large wing and wide stance landing gear. Make no mistake, this Zero is no trainer. It’s a sleek bird with maneuverability worthy of its legendary namesake. 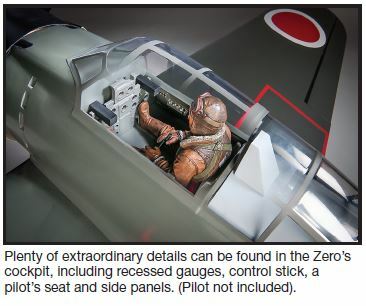 The Zero is sure to draw crowds at the airfield and give you hundreds of hours of high-octane thrills. Requires: Radio system with a minimum of 7 channels (8-channel or greater recommended), 8-12 servos, 50-60 cc gasoline engine and Robart retracts.